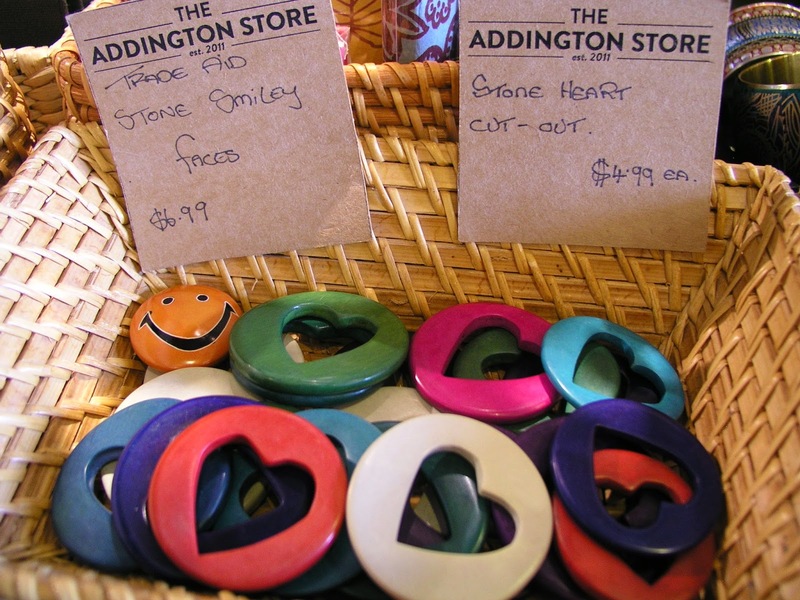 • The Link: "My old flatmate, Annie, took me to the Addington Store for lunch where I spotted some cute hearts. It was my first time visiting Christchurch where Annie's brother and my old flatmate, Jon, currently lives. It was pretty cool to see where he lived, all the haunts and just daily life that I finally got to see after how many years. Jon had already visited me several times in Oakland where he got to see how and where I live. It was cool to see how and where he lived finally in exchange." • The Link: "After telling Annie about the Chain-Link Heart Project, she busted out this cute little heart that her aunt had given her. 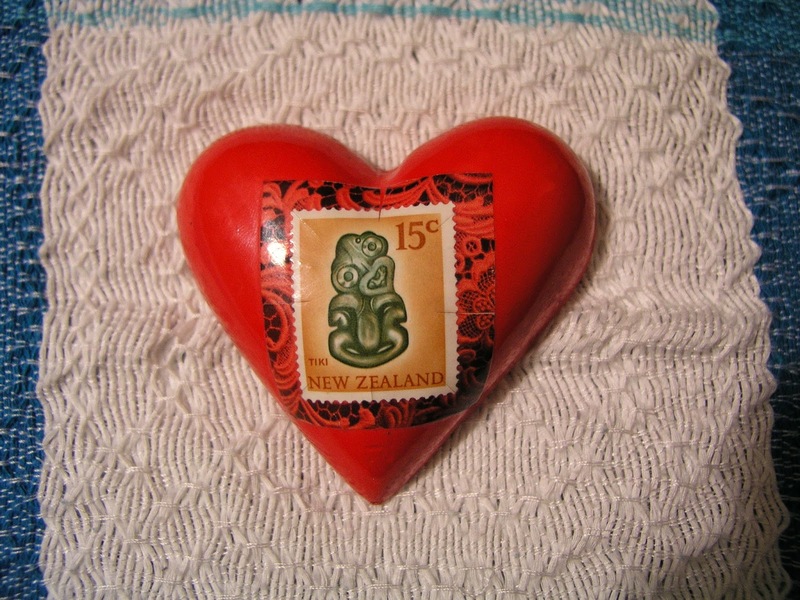 As you'll see on the heart is a stamp image of the Tiki. The Tiki, in Maori culture was the first man in Māori legend. As an ornamental carved pendant that is also worn around the neck, the tiki also has different meanings. There are two main ideas behind the symbolism of the tiki: they are either memorials to ancestors, or represent the goddess of childbirth, Hineteiwaiwa. The rationale behind the first idea is that they were often buried when their kaitiaki (guardian) died and would be later retrieved and placed somewhere special to be brought out in times of tangihanga (mourning and associated activities). Because of the connection with Hineteiwaiwa, hei-tiki were often given to a woman by her husband's family if she was having trouble conceiving. On this trip, Annie had revealed to me how she learned of her Maori great-grandfather. 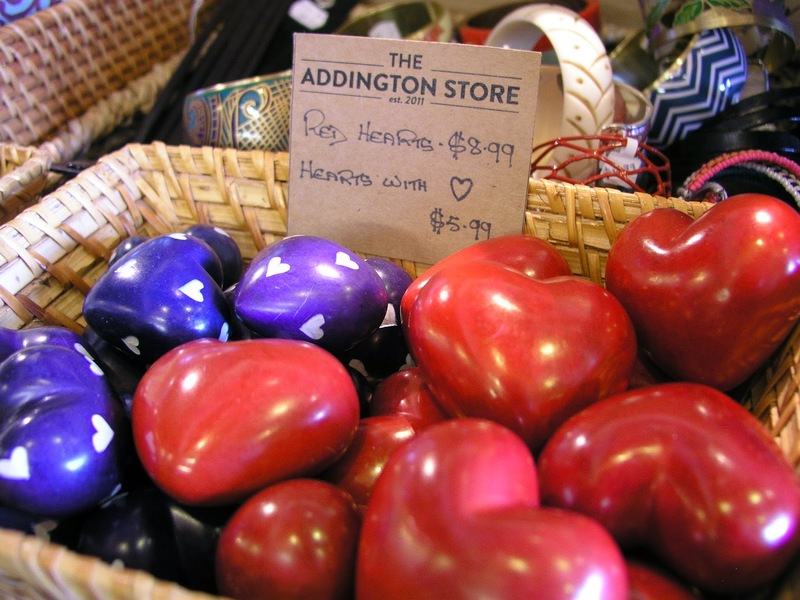 She had never known about this Maori ancestor, so it was all more cool seeing this heart and how the tiki and Annie's ancestry all wove together in conversation. Made me think of you and Lorenzo and your journey to motherhood with H."
• The Link: "On my way to see a friend whom I hadn’t seen since 2003, I decided to take a long walk and visit my old stomping grounds. 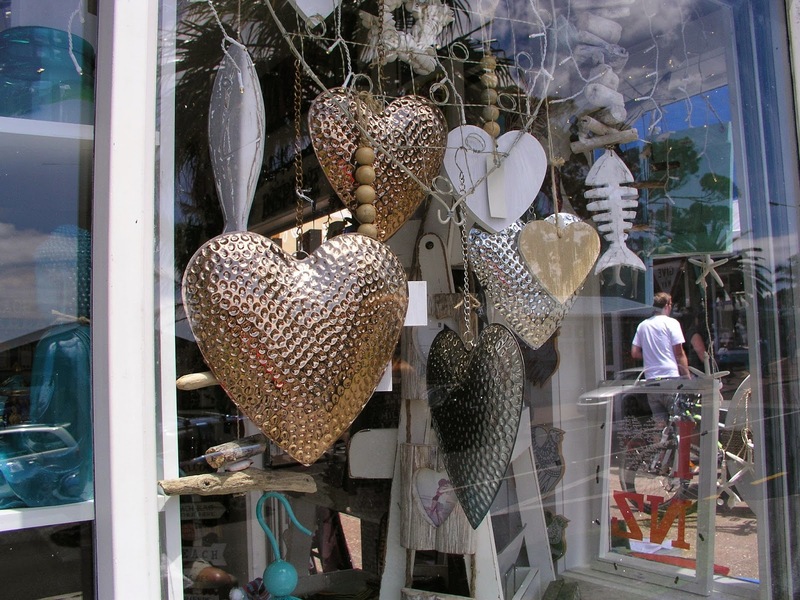 On the way, I had stumbled across these hearts in the window at Victoria Marketplace which is just outside downtown Auckland. The shops were closed and it was about 8 AM. Everyone was heading to work and these hearts pretty much stopped me in my tracks. Of course I had to capture them for you. I had taken a wrong turn somewhere on my way to meet my friend, but this was a lovely detour." 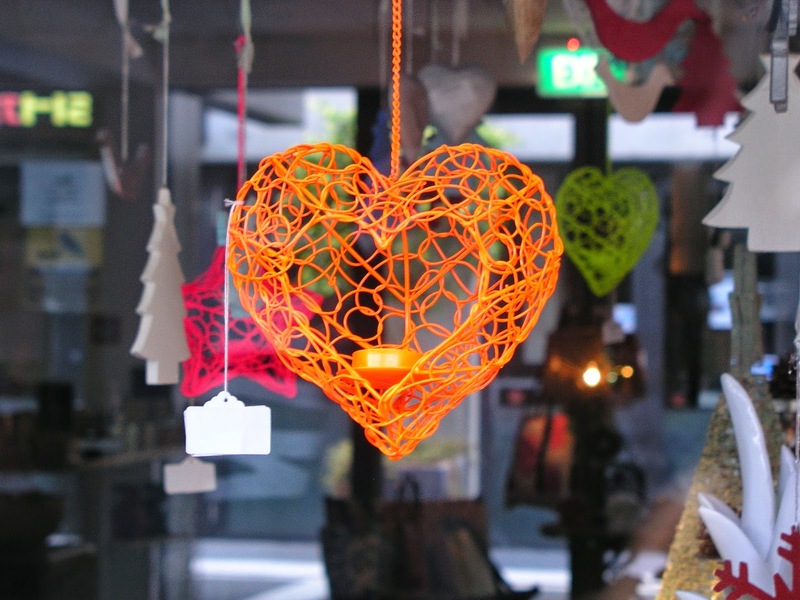 • The Link: "Every year, all the houses on Franklin Road of the Ponsonby community gather together and put on a festival of Christmas lights. The first showcase is on the first Sunday of every December and continues through the Christmas holiday. The whole neighborhood is set ablaze with lights. I never got to spend the Christmas season in New Zealand and left to go back home to California to celebrate the holidays when I studied abroad back in 1998, so it was lovely to finally see how the Kiwis celebrate and decorate for Christmas. 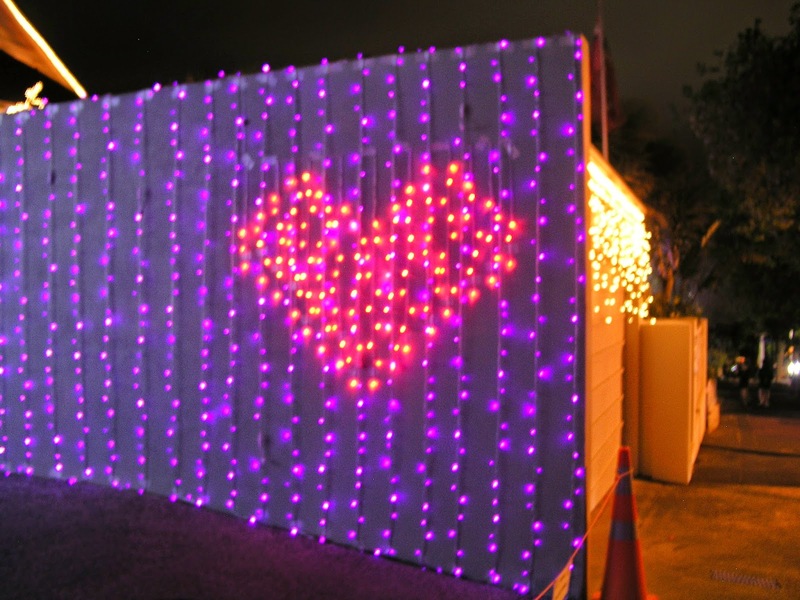 Of course, I spotted a heart for you among all those Christmas lights." • The Link: "Waiheke Island is a little getaway island off the coast of Auckland and is about an hour ferry ride away. It’s a lovely island filled with vineyards and beautiful beaches. 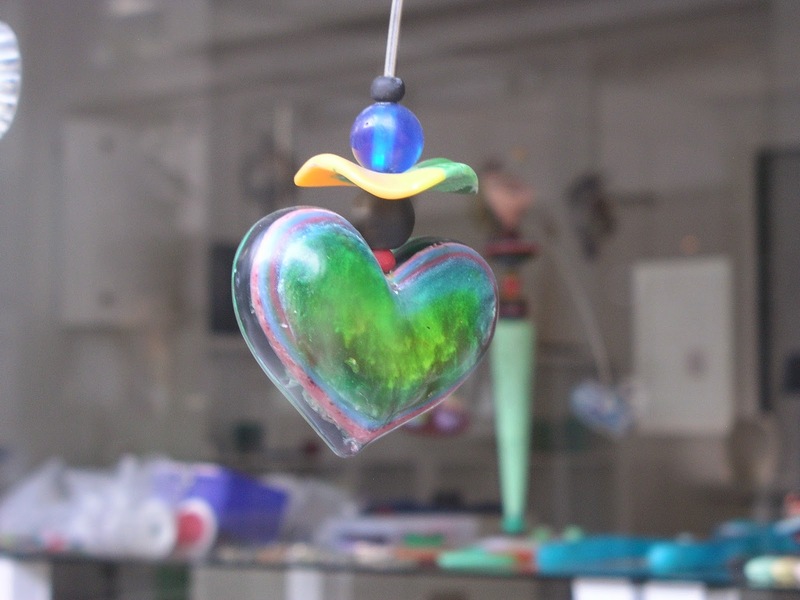 In their little downtown area, I spotted these hearts among their endless surf shops." 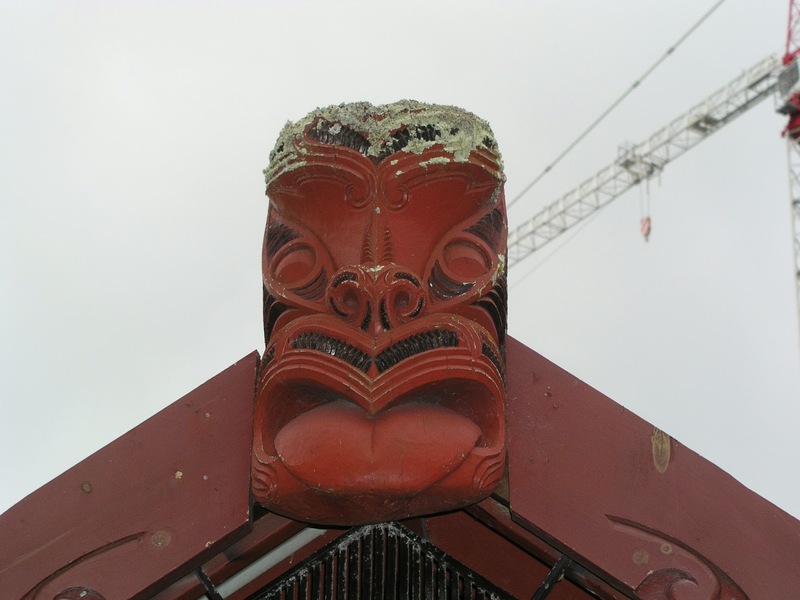 • The Link: "While walking around the university where I studied long ago, there’s a marae where I captured this wood carving welcoming you at the entrance. The sculpture’s mouth had a heart shape which reminded me of you, especially because I’m sure these sculptures closely resemble the sacred sculptures on Rapa Nui where you went to honor Lorenzo. In Māori society, the marae is a place where the culture can be celebrated, where the Māori language can be spoken, where intertribal obligations can be met, where customs can be explored and debated, where family occasions such as birthdays can be held, and where important ceremonies, such as welcoming visitors or farewelling the dead (tangihanga), can be performed. The marae is a wāhi tapu, a 'sacred place' which carries great cultural meaning." 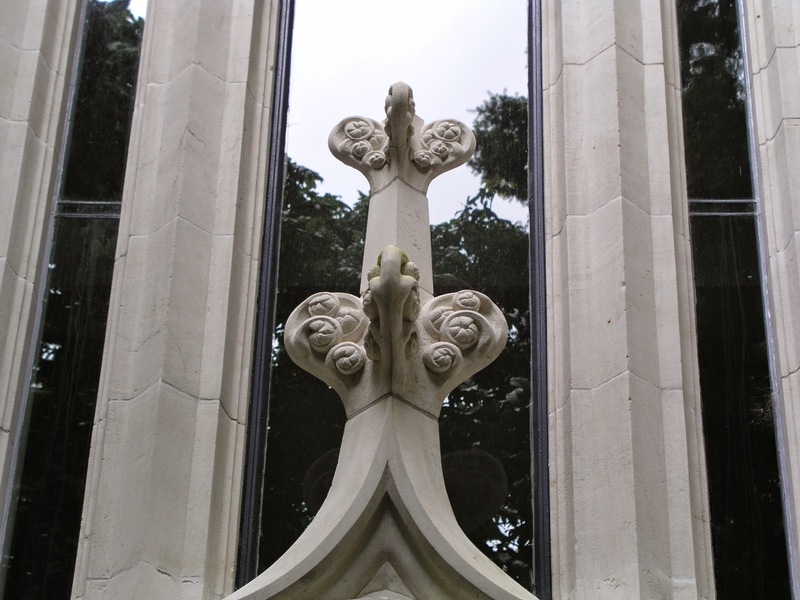 • The Link: "While visiting my old campus and the old Clock Tower Building that housed my awesome academic advisor, whose name escapes me now, I noticed how the sculptures welcoming you into the building resembled hearts, a Mama heart and a baby heart."